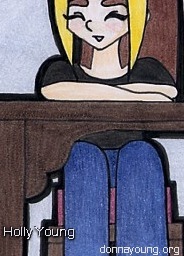 Holly is allowing me to copy parts of one of her drawings for this example. 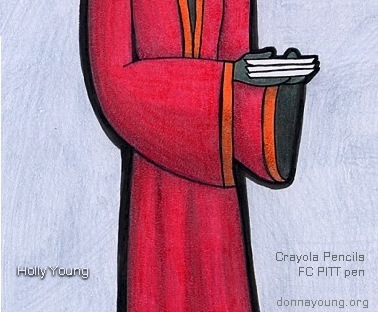 The images below show her work using the inexpensive Crayola Colored Pencils and Faber Castell PITT Artist Pens. She used a # 3B pencil for the initial drawing. 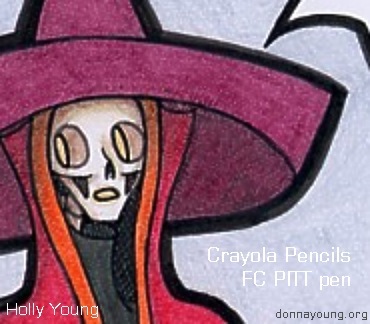 She used the pens to outline, detail, and to cross hatch inside the skeleton's robe. Below is an image of my daughter's Crayola Colored Pencils .